There is an Eagles Nest on the other side of Big Wood Lake, which some of you may already know about. 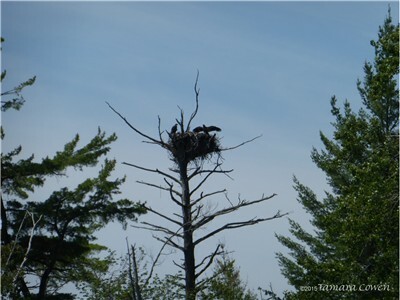 You can see the nest from the lake but if you are in a canoe or Kayak, you can also go up Wood Stream ways to get a better view. The other day I went out on our ski and saw this little guy trying to fly. Mom (or Dad) was flying around the nest and the babes were very chatty. I guess they were saying “where is our dinner?” OR possibly “can I fly with you? 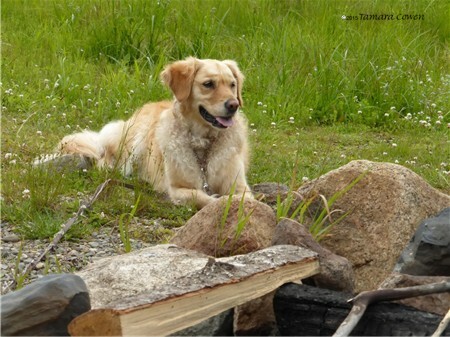 After a day of playing in the lake with us, Maggie needed to just chill out by the firepit.